After a busy start to the year, it is important to reflect on progress and those who helped us achieve and exceed the expectations of our customers. The business is continuing to grow into the year and we are looking forward to the introduction of new products currently under the final stages of development. SOS would like to congratulate Emma Palphreyman for winning Employee of the Month for her hard work and dedication. 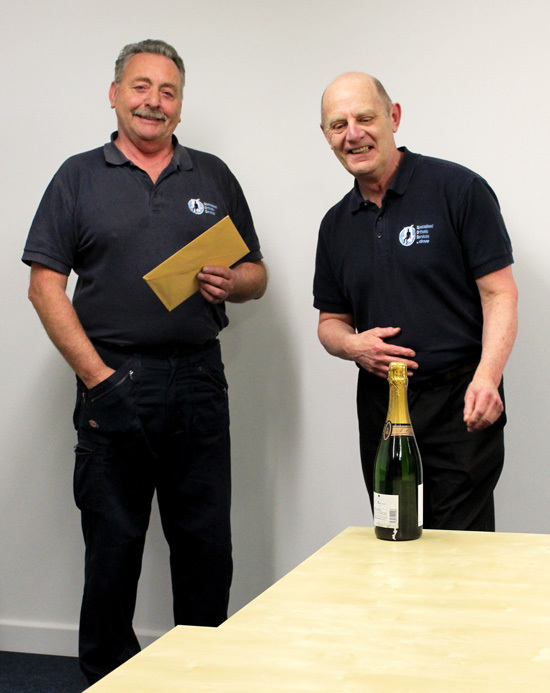 We would like to wish Ken Fellows a fantastic retirement after 6 years’ service working as Service/Maintenance Engineer. Ken spent the day to day visiting clients to repair or replace worn out components on our wheelbases. This vital service has helped maximise the lifespan of our products, ensuring that they continue to function correctly long after purchase. When Ken wasn’t travelling, he worked as part of the community product assembly team: Assembling products including T’max toilet and shower seats, Home chairs, Equipoise Straddle Seats and Glider frames. Congratulations Ken. From your friends and colleagues at SOS we wish you the best possible retirement.